Almost all of the products in our range can be customised in print. 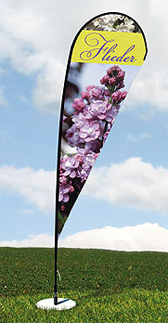 In addition to promotional items and acrylic stands, these also include complete trade show stands. All print data supplied by you will be verified by us as part ofa basic routine check. We will notify you immediately of any shortfalls or inconsistencies in the data system which we have identified. * We will maintain any data sheets for you to create the best data possible. These can be obtained from us upon request or can be located via the item inside the store. Do you not have any printable data and need to design the selected print media? We will happily take care of this for you. Our in-house advertising agency team "renzel.agentur GmbH" puts your wishes and ideas into practice on a professional scale. Talk to us! The VKF Renzel GmbH sales team will be happy to help you. *We will carefully examine the factors of resolution, format and colour mode, without any warranty or liability. Further testing is available at an extra cost.